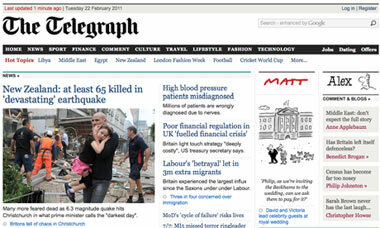 So the rumour is the Telegraph is going to follow the example of Mr Murdoch and construct its very own paywall. I've said this before and I'll say it again, it is the traditional print media falling back on traditional print tactics on a thoroughly modern medium. So as soon as the wall goes up the audience will plummet faster than Nick Clegg's approval rating. But the big sell is, at least TMG will make money on those people who dig deep and stick around. Have you noticed that at the height of job losses and service cuts that the focus is now being shifted to the discussion over whether we want the Alternative Vote or not? Does the foundering of Liverpool boat show prove the UK economy is in deep water? The cancellation of the much heralded Liverpool boat show is a devastating blow to the city. The announcement that the show and yacht sales expo was to be held at the Albert Dock proved that Liverpool was on the crest of a wave. The good times were back. But the cancellation will see the city lose the expected £30m of leisure and tourism cash which was due to flood in. A major blow for Liverpool which has already lost millions in government grants. 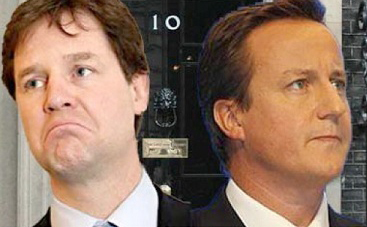 So Liberal Democrats have finally put their heads above the parapet to criticise their government's cuts. In an open letter to The Times (do they not know Nick Clegg's address?) 88 leading local government Lib Dems say the cuts are 'too fast and too deep'. Does that line ring any bells? Yep, it's what Labour has been warning since George Osborne unveiled his plans shortly after getting the keys to number 11. The Big Society is a Big Con. Unfortunately, it would appear that Liverpool TV-guru Phil Redmond fell for it. I've got a lot of time for Mr Redmond. He's done a lot for the city. But he was well and truly hoodwinked. 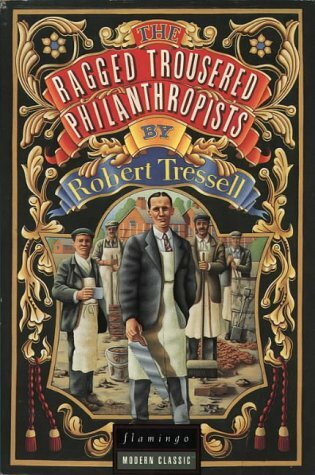 I may have mentioned this before, but Robert Tressell was the man behind The Ragged Trousered Philanthropists, one of the most powerful and influential political novels of the 20th Century. Today marks the 100th anniversary of Tressell's premature death at the age of just 40. He is buried in a pauper's grave in Liverpool and never lived to see his great work published. Read my tribute to the great man and why I think the novel is more important now than when it was published back in 1914 over on Liverpool Echo and Liverpool Daily Post city editor David Bartlett's DaleStreetBlues blog. The Daily: Ambitions are big and costs are low. Has Rupert Murdoch found the Holy Grail? It's not every day that the world sees the arrival of the saviour of journalism. Well today saw the launch of the latest piece in Rupert Murdoch's multi-media empire as The Daily hit the virtual newsstand. Launched with a fanfare to the world's media, The Daily has been created specifically for the Apple iPad, which itself was launched with a fanfare and heralded as the salvation of journalism. It's got to be good ... hasn't it? 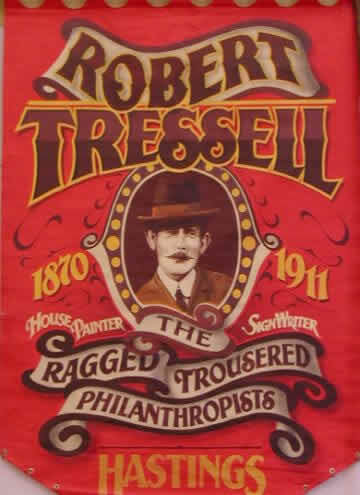 Next Thursday, February 3, marks the 100th anniversary of the death of Robert Tressell. The Irish-born author is famous for writing one of the most powerful political novels ever written - The Ragged Trousered Philanthropist. It's a book that highlights some basic injustices in our society and is even more relevant now than when it was first published three year's after its creator's death. Today will see the latest round of redundancies on the back of this government's short-sighted cost cuts. Again it's the BBC which is being hit. This time The World Service. Six-hundred jobs are set to be axed - that's more than a quarter of the World Service's 2,000 work force. Regardless of who came up with it, I hate the term 'negative growth'. Negative growth is decline. And a 0.5% decline in the economy is exactly where we are. Two quarters of negative growth equals recession.